What’s good? 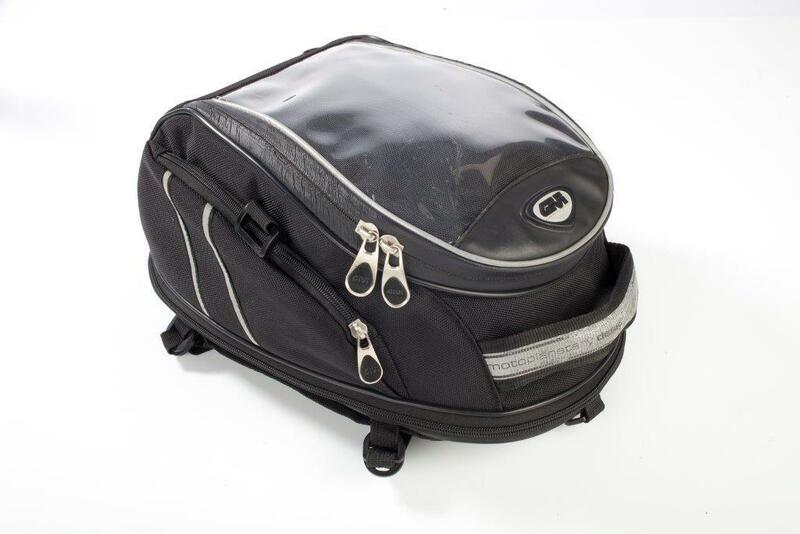 This is my second review of this rugged, easy-to-fit, universal tank bag, now discontinued. I used it on my Ducati 848 Streetfighter in 2012 and again this year on my BMW S1000R. It had the year off in my garage last year, so I had to spray GT-85 on the zips to get them zipping along freely again, but after that the bag was like new. I’ve used it on trips in the UK, to the TT and Ibiza this year. It’s easy to fit the fitting kit: take the Beemer’s seat off and thread the straps under the fuel tank fixings. After that, just clip the bag on and off the base. It has a large map pocket, a waterproof cover, is big enough for a week’s-worth of clobber and easy to clip out of the way when filling up with fuel. What’s not? The side pockets are too shallow for a wallet, but ok for credit cards, keys, phone, money and earplugs.